I was born and raised in Mexico City and when I was young I took my life in the city for granted. After highschool I decided to study abroad for four years and this is when I started to appreciate my city more than ever. Don’t get me wrong I have always loved Mexico City, but I feel that living far away makes you miss it even more. During this time you remember all the great things the city has to offer. Mexico City is a huge cosmopolitan city with thousands of things to do. There are so many tourist attractions that it would take many days to visit all. As in every city there are certain tips only locals know about that are worthwhile. I want to share some tips that tourists should keep in mind when coming to my hometown. 1) If you happen to be in Mexico City on a Sunday, I would definitely recommend either biking or running in Paseo de la Reforma. Paseo de la Reforma is the main avenue in Mexico. It is the widest street inspired by Champs Élysées in Paris, it was built in the second half of the XVIII century by the Emperor Maximiliano de Habsburgo. Reforma as Mexicans call it is the street that takes you to the Historical District. On Sunday mornings from 8 am to 2 pm the street is closed for vehicles. People love to either bike, run or skate on the street and enjoy some of the most emblematic monuments that are situated in Reforma such as the Angel of Independence and the Diana Cazadora. As a fellow runner I can assure you, you will have a great run and discover the city with a different perspective. 2) When you visit the Historical District know as the Centro you will visit some of the most important attractions in the city such as Bellas Artes and the zocalo or square one of the largest in the world. If you want to unwind after a long day I would recommend going to the rooftop of the Downtown Mexico. This boutique hotel part of Grupo Habita, blends historical architecture with modern touches in a prestigious location. Downtown Mexico has an amazing terrace with nice views of the neighborhood. This spot is perfect to grab a snack and enjoy a drink. They organize pool party’s here so you might run into one, and I promise you will have a great time! 3)As you might know, food is a very important part of Mexican culture.I always say that the best way to get to know a destination is to visit a food market. Mercado Roma is a new gourmet food hall that opened in La Roma a trendy old neighborhood in the city that has attracted young people in recent years thanks to its quaint restaurants and bars. It is the Eataly of Mexico City and has been a huge sensation since it opened in 2014. In the food hall you have many stands with different types of food. You can have a falafel, quesadillas or even go for some Spanish tapas to name a few. The upper floor has a restaurant with a nice bar to get some drinks at night. I would definitely recommend eating downstairs and trying different dishes from the stands. Mercado Roma gets pretty crowded so its better to get there early for either lunch or dinner. 4) Polanco is the preppy neighborhood in the city similar to Beverly Hills. This is where the fancy restaurants and designer stores are located. If you are looking to splurge this is the place! If you are looking for a good cup of coffee at a nice place you can’t miss Eno. Eno is owned by the world famous Chef Enrique Olvera who has changed the gastronomy scene in the country. This coffee shop serves amazing coffee, fresh bread in the morning and snacks throughout the day. They have several locations around the city and they are all amazing. 5) This last tip is only for adventurous eaters who have a strong stomach! If you like seafood and eating from a stand on street, there is a place called “El Jarocho de las Lomas”. A small stand across of the gas station in the corner of Virreyes and Iturrigaray. If you ask any driver they should know where the gas station is. This stand serves exclusively shrimp, octopus and oyster cocktails, nothing else. When you get there you will probably think this was a crazy idea , but the line of people will show how popular this place is. It serves the cocktails prepared with perfection. With some lime, avocado, ketchup and some amazing salsa. The customers and type of people are a mix of everything from hipster to preppy, they have been eating here since it opened 38 years ago. 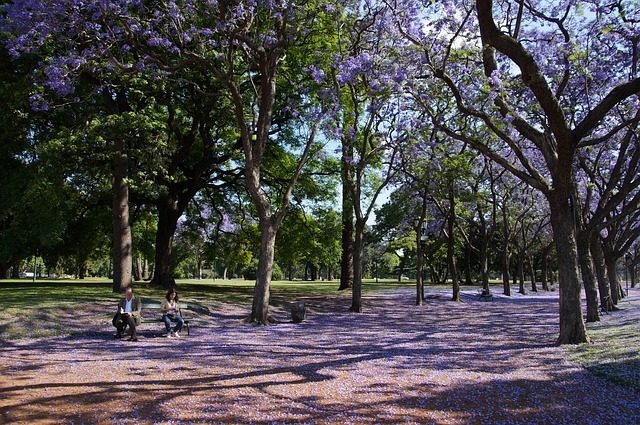 If you can, visit Mexico during spring to enjoy the jacaranda trees, which bloom with beautiful purple flowers all over the city from March to May. Locals look forward all year long to see the jacarandas bloom. curso de reposteria madrid	el 29 de septiembre de 2016 a las 08:04 08Thu, 29 Sep 2016 08:04:07 +000007. Merino Eredase	el 07 de octubre de 2016 a las 09:18 09Fri, 07 Oct 2016 09:18:52 +000052. Lydia Itoi	el 05 de noviembre de 2017 a las 10:40 10Sun, 05 Nov 2017 10:40:38 +000038. Thank you for the wonderful information! Beautiful blog.